But this quake has raised (for me, at least) some serious questions about our attitudes to heritage in NZ – both in Christchurch and Wellington. They have a large list of Heritage buildings down there, just as we do up here. But from what we’ve been seeing on the TV there is a lot of demolition going on of some pretty historic looking heritage buildings down there. The Engineers are condemning, and the Demolition guys are demolishing. On the one hand it is good to see some definite positive actions (in Haiti they’re still sitting in Limbo) – we have systems and people in place, and obviously things have swept swiftly into action. But are they going too far down there? And really, how would we cope up here? In Wellington we have a Heritage building fund, of which I think they can assign up to a maximum of $25,000 per heritage building project that has strengthening needs. What this earthquake has shown is: that really is not going to go nearly far enough. 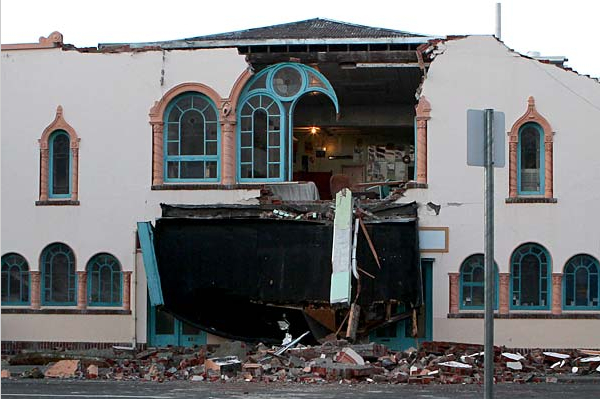 As a regular Fish contributor notes (60mPa, presumably a big gnarly old grey-haired concrete contractor), in the case of a similar earthquake in Wellington, “Upper Cuba is shopfront collapse”. How much do we like our Cuba St architecture at present? How much do we want to see it standing afterwards? Do we really want to spend lots of money clearing up fallen brick facades once they are on the street, or do we want to have them still attached to buildings? Or is this a chance to say – que sera, sera, and here’s a chance to build Cuba St in a modern style? These are the things we should be debating now – and doing something about now, rather than waiting until we ave no time to weigh things up and debate them later. On the other hand, away from the heritage buildings in the city centre, there is a huge amount of damage to Christchurch houses. In that case, while it is no doubt all very sad for the individual owners, I’ve got to say that there is a fantastic opportunity there to get rid of some of the current dross of suburbia, and to build some real quality housing for once. I am so sick of seeing bland suburban tract housing in NZ, and ChCh is no different – in fact, it may be even worse than the NZ average. What would be great is if new houses there were planned to properly face the sun, if they were to have solar water heaters on the roof, if they were built with really decent levels of insulation, and, please, if they were designed by competent architects, and could for once look a little less ugly. As I write this they have just had another quake – the biggest aftershock yet – no doubt more damage. Define a little less ugly (in a way that appeals to all and sundry), and you might be on to a winner. Wellington’s heritage stock (much of it anyway) is really a ticking time-bomb counting down to a d-day that we can never be be party to until it happens. 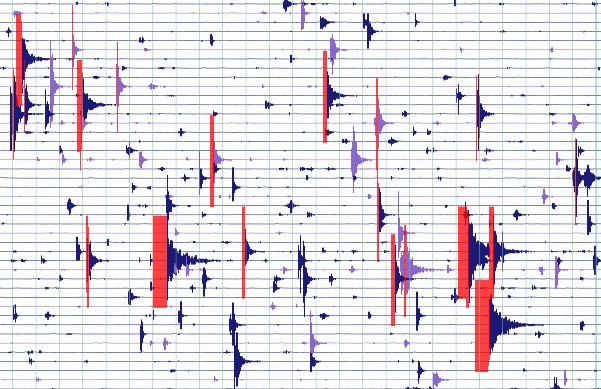 While we wring our hands over the heritage question we are putting lives in danger (and it should be noted that a similar 1929 west Canterbury magnitude 7 earthquake turned out to be the first of a series of seven major, magnitude greater than 7, earthquakes in NZ over the next 13 years). This is an urgent issue, and if our heritage buildings aren’t up to standard by now they should be gone. Delaying deadlines is criminal. Do heritage supporters really want the potential loss of many lives on their conscience for the sake of a few shoddy brick buildings of questionable real merit?? Well, yes, substandard buildings should be removed, but we also have to weigh up whether we want to expend time and energy on buildings that may be irreplacable. There was a picture of St Johns church in Hororata? with half the steeple down, and a large crack between the nave and the tower. If we demolish it now, there is no way it will ever be coming back again in its present form. Heritage significance is an evaluation that reflects noting more than our own “insignificant little lives”, and buildings that we retain for that sake are nothing more than a physical manifestation of this. If our lives don’t matter, then surely buildings matter much less. …furthermore, while I’m at it, chch has gone as far as to enshrine its heritage stock as a valuable set of assets that are important for the economic and cultural success of the city within its city plan. It seems to me that if we identify something as a significant asset that we take care to protect and maintain that asset as a resource for those values we aspire to (sense of place, tourism etc – as referenced in the Plan). The problem is, of course, that it is far easier to talk the talk than to walk the walk, hence the loss of ‘assets’ that has been experienced. I suspect that the quake appears to have extracted a particularly heavy toll on Chch due to the degree of importance put on the building stock (and particularly heritage buildings) in determining identity. It’s a city built on the flat so the built stock was always going to be very important in shaping its identity. In Wgton it’s possible we might experience a lesser degree of this after a disastrous event, given that much more of our identity also relates to the fantastic natural setting of the city. Yes, many buildings would be decimated, but the form of the city when it rose again would benefit from the same spectacular natural advantage. And Maximus, we can tell you type ‘density’ more often than you type ‘destiny’! But if there really is a ‘Density Church’, let’s try and get the JPA to attend – even securing one convert might be helpful! I include a snippet here, but make sure that you check out the ranting religious nutters on the original CNN blog, where comments currently stand at about 82. “It comes back to building standards and the quality of construction, the materials used and the quality control in the building process,” said Andrew Charleson, an associate professor at the Victoria University of Wellington’s School of Architecture. The construction of every commercial and residential building in New Zealand has to be approved by the local city council in accordance with the national building code. Haiti’s reputation for lax building regulation and weak code enforcement, on the other hand, left its citizens vulnerable to disaster, said Charleson, who is also director of the Earthquake Hazard Center, a nonprofit that focuses on earthquake-resistant construction in developing countries. “About 40 years ago Harold Camping published a book called Adam When? laying out a timeline with all the evidence from the bible. 4990 BC was established as the date of the Noachian flood. It has withstood the test of time and cannot be disputed with biblical or credible secular scientific evidence. In the early 90’s he published another book called 1994? where he proposed the possibility of Christ’s return. He also indicated 2011 was a possibility. Quite astounding evidence(from the bible) was produced a couple of years ago. Christchurch has a huge opportunity ahead of it in terms of rebuilding. If it hadn’t been for the 1931 earthquake, Napier would be just another small NZ town like Wanganui or Gisbourne and there wouldn’t be much reason to visit. But instead it is an architectural treat. Will Christchurch redevelop itself with style and quality? Or will it end up as a NZ Coventry full of ugly cheap buildings? that’s a bit of a stretch David. The entire city centre in Napier was razed to the ground, only 2 buildings left standing (but apart from chimneys, not that much damage to the housing, which was mostly timber framed). So, yes, Napier redeveloped its city centre in a different style from the brick Victoriana that was there before. Christchurch is a whole different story – nearly all the central area buildings are still there – the media is only showing us the ones that have fallen down, not all the other ones that remain standing. I really wouldn’t think that the central area will have much of a different feel – except maybe a sprinkling of modern 2010 shopfronts. Guy… To be honest, I don’t know Christchurch well enough to know if the damage is concentrated or sparse. The media were reporting that 500 CBD buildings suffered some damage. Presumably that includes lots of broken windows, but do we know how many buildings are a complete write off? Like most readers here I’ve grown up with earthquakes. I was also in the Loma Prieta quake in 1989, and so earthquakes don’t usually worry me much. But as I’ve been wandering around Wellington this week I’ve been looking up and noting brick facades and other building elements that look as if they might fall in to the street the moment things start shaking. Partly for reasons of personal safety. But also thinking that it’d be really sad if we lost even a fraction of our old buildings. There are some obvious stars like the old Public Trust building or the old BNZ building that might not make it. But there are hundreds of lovely old buildings that I never stop to look at or photograph but which make Wellington such a good looking city. “Many of Canterbury’s heritage buildings damaged in the earthquake can probably be restored and should not be demolished, the Historic Places Trust says. Southern region general manager Malcolm Duff said heritage experts had been working with the Christchurch City Council’s heritage team, architects and engineers to assess the extent of the damage to historic buildings. Christ Church Cathedral, the Catholic cathedral and the Provincial Council Buildings appear to have come through largely unscathed, but there has been some damage to the Arts Centre. Duff said masonry facades on some central city buildings had been badly damaged, but that did not mean they were now fit only for the bulldozer. Historic Places Trust board member and heritage advocate Anna Crighton says it was the historic buildings that gave Christchurch its special character. “It’s absolutely imperative not to rush in and demolish or think it’s all over until buildings get an impact-assessment report from a professional heritage expert, engineers and architects,” she said. Crighton said some building owners in the inner city had been waiting for a chance to clear the site. The compromise required may well be to save the facades only.There is a building on Stout St on the LHS heading North after the Public Trust where a new building was constructed inside the retained facade. While there are cases like the buildings sprouting out of Kirkcaldies that are relatively tasteful, the problem in Upper Cuba and the Te Aro flat may be that the building footprints are small so the respective owners will be allowed to build right out to the frontage, creating a look of multi-storey apartments with a figleaf olde worlde veneer on the front. This, whilst undesireable, may be the most effective compromise as owners will, when faced with the cost of full retention and strengthening, demolish by neglect and knock em down at speed should the big earthquake hit. A frontage is a lot cheaper to reinforce and retain than the whole lot. Personally I’d like to see full retention and strengthening but money dictates action and talk is cheap. “Wellington’s earthquake-strengthening rules are to be reviewed and may be toughened in the wake of Christchurch’s 7.1 shake. Wellington Mayor Kerry Prendergast said the review could reverse changes made last year, which gave owners more time to complete work on their properties. The Christchurch earthquake had “refocused Wellingtonians’ minds” on the risk to life and property, she said. The council has identified about 3800 buildings around the city as potentially quake-prone, and estimates about 600 need strengthening. Ms Prendergast has asked the council to review deadlines and to look at heritage rules, which include replacing heavy masonry features such as parapets or chimneys with lightweight fibreglass or carbon fibre replicas. Increased grant funding would also be considered. Christchurch City Council voted yesterday to tighten standards for earthquake-prone, dangerous and unsanitary buildings. Owners of damaged buildings will now have to try to strengthen them to 67 per cent of Building Code levels instead of the original 33 per cent target. In Wellington, the legal requirement is also 33 per cent, but the council recommends 67 per cent. 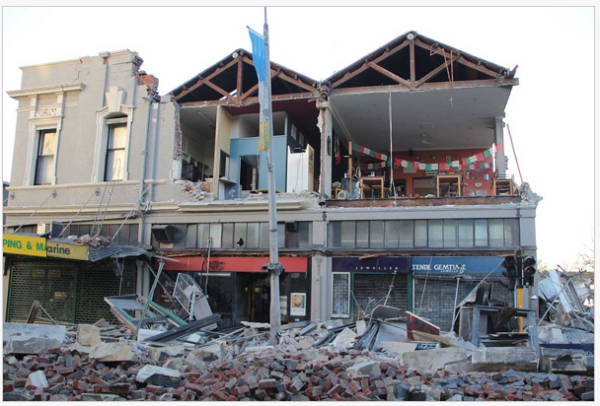 Wellington’s Heritage Property Group director Peter Dowell said Cuba St would be a disaster zone in an earthquake like Christchurch’s, with many human casualties. He supported tightening deadlines for work, and replacing heritage masonry with lightweight replicas. “We have inner-city living. Cuba Mall would have been decimated. There would have been huge death. If you go down there, the majority of them are brick and they’re generally owned by owners that are not prepared to do them up.” He hoped the Government would offer incentives including tax breaks to heritage owners to help them complete their work. Stephen Hawke, who owns the Cuba St building which houses Ernesto cafe, said tightening deadlines would not work unless the council gave financial assistance to struggling owners. Go there and have a read – most enlightening. So, the blogosphere has been busy after all. New, and highly relevant blog: Rebuilding Christchurch (one brick, one word, one city). Here’s a link to the first post. I was thinking that a possible answer to strengthening the heritage buildings is for the EQC to stump up the cost of making them 67% to code. Its clear building owners either don’t have the cash or making their structure safe is bottom of their priorities. 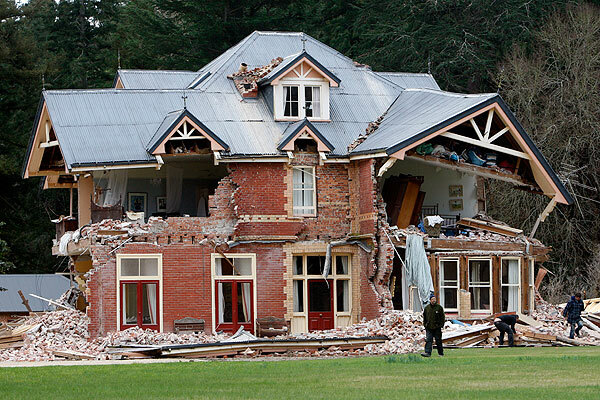 The EQC is supposed to have billions stored away for earthquake damage. So why not use some of that money as a preventative measure rather than waiting after it has happened. After the big one hits they won’t be paying out for the full reconstruction cost. Having a discussion about what heritage buildings to keep is a really good idea, although its a big step. But keeping people safe should be paramount. Damn good idea Sav. Ambulance at top of cliff rather than at the bottom. “Christchurch City Mayor Bob Parker has reiterated his call for building owners not to demolish their buildings without consent from the Council. �While public safety remains paramount, I would encourage owners of damaged heritage listed buildings and character buildings to work with the Council so that we can do what we can to preserve these buildings, which are so important to the character of our city,� says Mayor Bob Parker. �The Council will take strong regulatory action against any owners who demolish buildings contrary to these requirements,� Mayor Parker said. Permission to demolish buildings will only be granted following the assessment by at least two structural engineers. In addition, building owners need to supply a plan with options for the building to inform the decision process. This is a call for ideas. Christchurch�s recent 7.1 magnitude earthquake has severely damaged much of the built fabric of the city, in particular historic buildings in the centre. Outlying suburbs have been hard hit and vast numbers of homes will need to be reconsidered. Currently teams are working to assess, and to salvage what is possible of the city�s buildings. Within a few weeks large-scale rebuilding will begin. This call for ideas comes from a group of young architectural graduates with an interest in engaging members of the public in dialogue around building decisions that affect them. The events in Christchurch have given their concerns a direct and immediate weight: over the coming months, hugely significant, city-defining architectural and planning decisions are going to have to be made. We implore the public at large, as well as architecture students and practising architects, to become involved in a positive and productive discussion over the nature of these decisions and the kinds of rebuilding they would like to see take place. We want to see your ideas providing a framework to give shape to what could, should, or might be. Choose your strategy, construct an argument, share a notion, indulge in joyful play, fight against or reach towards. Scale is open: form a strategic vision for the entire city; reconsider a hard hit suburb; preserve a local dairy. Salvage heritage and character, design temporary infills, sustainable developments, urban parks/reserves, inner-city living, a new typology of housing, a city of skyscrapers, a city of pickles� whatever you find interesting. We want ideas, ideas to stimulate interest and establish discussion to achieve the best for Christchurch. Design, plan, write, draw, paint, model, dream� just share what you value and deliver it in an A3 digital format to ideasforchristchurch@gmail.com. Submit as often as you want, as a group or as an individual; identify yourself or remain anonymous. We see this as urgent. Submissions are open from Wed 15th to Sat 25th September 5pm. Selected works will be uploaded to online discussion forums, presented to the media, and publicly exhibited. For submission requirements, further information, queries, and updates please email the above or comment below. “Demolition should be an “absolute last resort” for heritage buildings damaged in the Canterbury earthquake, says the owner of the historic Press building in Cathedral Square. The owner, Ganellen, said Lewis Bradford structural engineers assessed The Press building and were impressed by how it had withstood the quake. “This appears to have been quite an innovative and advanced building for its time,” Craig Lewis, of Lewis Bradford, said. However, the engineers had advised that the 101-year-old building remain unoccupied until a more detailed survey was undertaken. Ganellen said it was working closely with The Press to return staff to the building as soon as possible. Ganellen’s New Zealand director, Michael Doig, said he was concerned that heritage building owners could be “opting for a bulldozer” rather than working to retain historic sites. He said demolition should be an “absolute last resort” for the owners of historic buildings.